So, you’ve decided you want to do a masters or PhD? It’s an exciting prospect, whether you’re doing it to enhance your job prospects, kick-start an academic career, or for pure love of the subject. But have you worked out how to fund it? Perhaps you’re planning to get a part-time job, apply for funding through a research council or university scholarship, or have your eye on one of the new government postgraduate loans. Did you know that many charities exist which can help with the cost of fees, living and research during a postgraduate degree? As a Nottingham student, you have a gateway to these funding sources through the Alternative Guide to Postgraduate Funding – a huge database of charities offering grants for further study. Luke Blaxill started the guide after missing out on research council funding for his PhD in history. He resolved to “leave no stone unturned” and the result, several years later, is the Alternative Guide. It’s a searchable database of nearly 1,000 charities, professional bodies and other grant-making organisations that fund postgraduate study of all types. Grants on offer support research as diverse as fieldwork in Antarctica, women’s wellbeing, and the study of the winemaking industry! In fact, the criteria are less likely to be about your field of academic study, or grades, than more unusual considerations. The Vegetarian Charity funds vegetarian or vegan students, for example, while the Leverhulme Trades Charities Trust supports the sons or daughters of grocers, pharmacists and travelling salespeople. It’s important to do some careful digging and be creative about what you search for. Money is available to help with fees, maintenance, and research expenses including conferences and field trips. 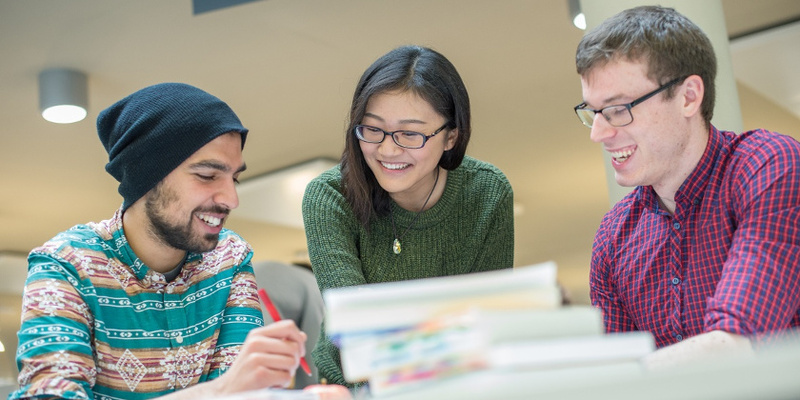 Applications are invited not only from prospective students, but also those already studying – whether you’re in the first year of a masters, or the fourth year of a PhD. Everyone’s situation is different, and the Guide includes stories from students of all kinds of background who have managed to secure funding from charitable sources. You can read about their strategies to get inspiration for your own search. The website also provides tips on finding funding from other sources, advice on the new postgraduate loans system, and a guide to crowdfunding. We pay for the Alternative Guide to Postgraduate Funding, so you can access it free of charge. What’s more it’s easy to access and use – registration takes less than a minute with your university email address, and if you’re on campus you don’t even need a login. It’s important to remember that, even if you’re successful in securing charitable grant funding, this type of funding is usually used to supplement existing funding, rather than to cover your whole course. In fact, it helps to have some other funding in place to stand a better chance of winning charitable grants. You may then be able to build up a portfolio of smaller sums to ease the financial burden of postgraduate study. It certainly took me a long time, and recounting how much I won underplays the numerous rejections… On hindsight, if I had one piece of advice it would be simply to persist, and to not give up. Also, to be methodical and mechanical. Just sending off a few letters here and there to selected bodies might work, but it probably won’t. Unless you are very lucky, you need to spin the wheel many times to hit the jackpot. However, he also adds “the reason so few students are funded by charities isn’t due to stiff competition, but simply because few know about them!” So it could be well worth exploring this under-used resource. Use the Alternative Guide in conjunction with our other advice on where to look for funding. You can speak to a careers adviser to help you weigh up your options, and make an action plan too. If you’re no longer in Nottingham, we can also offer support remotely, email us at graduatecareers@nottingham.ac.uk. *Figures provided by the Alternative Guide to Postgraduate Funding based on their survey of University of Nottingham students.